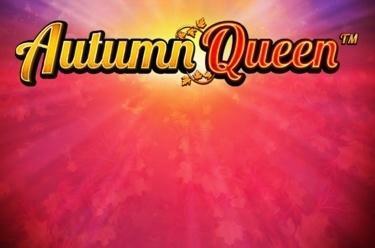 Play Autumn Queen™ online for free now! The protagonist of this slot is her graceful majesty herself: Autumn Queen™ is as beautiful as the golden autumn leaves and accompanies you during a stroll through the reel forest. You will encounter forest dwellers like deers and bears as well as many autumnal Twists - that is if the Autumn Queen lifts the veil of leaves for you! 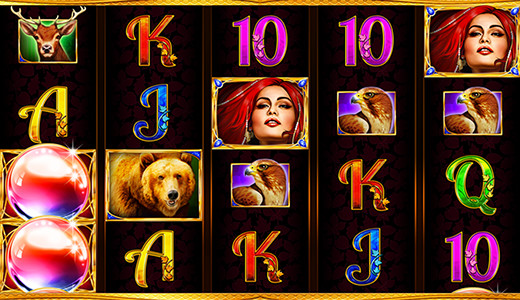 Your aim in this autumnal slot is to line up 5 matching symbols along one of the 40 win lines that all run from left to right. The 'Autumn Queen' logo is the Wild symbol that substitutes for all other symbols except for the Scatter (Crystal Ball). 5 Crystal Balls landing on the reels from left to right trigger 5 free games. 5 free games with the same settings as the regular game are triggered when at least 5 Crystal Balls (Scatter) land. With every Scatter that is part of a winning combination you receive 5 additional free games - with some luck you can win up to 80 free games! The Autumn Queen Bonus is triggered during the bonus rounds: Stacked symbols covered by leaves appear on the reels and they increase your winning chances.